If there is one thing I cook year round, it’s pot roasts. 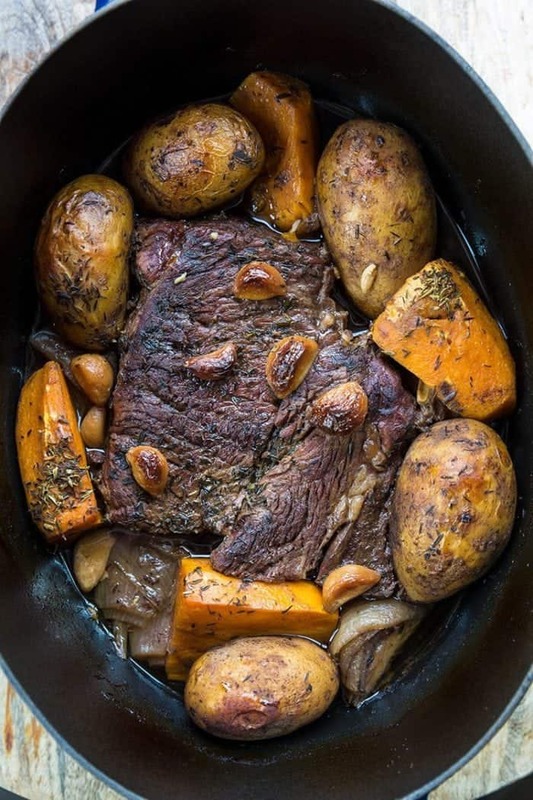 True, I might not make a Dutch Oven pot roast during the summer months (but then again, I am thinking of getting central air conditioning installed because I’m really tired of working in a boiling hot kitchen, which will happen again this summer) but I certainly make them in my crock pot. 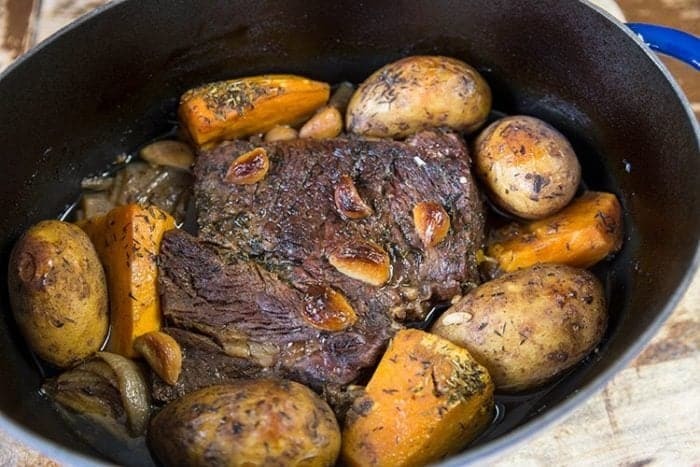 The thing is….as much as I love my crock pot, there is nothing like a Dutch Oven pot roast. Nothing.That cast iron cooks up a blade or a chuck roast in around 5 hours and if you use whole vegetables, you have this crispy, yet tender roast and these amazing vegetables that have been simmering in the beef broth and wine all of those hours. The cast iron helps you achieve a crispy on the outside, tender on the inside pot roast that you don’t get with a slow cooker. You also just don’t get vegetables that are as nice when you use a crock pot. The skin can get crispy in places and it seems to infuse them with the thyme a lot better. I’m not trying to beat up on my crock pot roasts, don’t get me wrong. That’s how I usually make my roasts. However a Dutch Oven pot roast just makes the best pot roast ever! 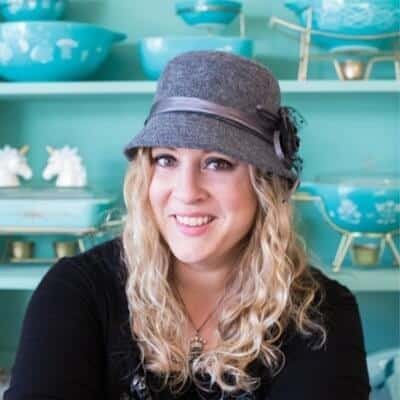 So while yes, I love my slow cooker but if I have the time – and it’s ok to heat up my kitchen with an oven that will be on for hours – a delicious dutch oven pot roast is the only way to go. Pot roast should always a chuck roast, a blade roast or anything that your butcher labels ” pot roast”. A pot roast is supposed to be cooked low and slow for hours on end, braising the meat until it falls apart into delicious pieces of beef. 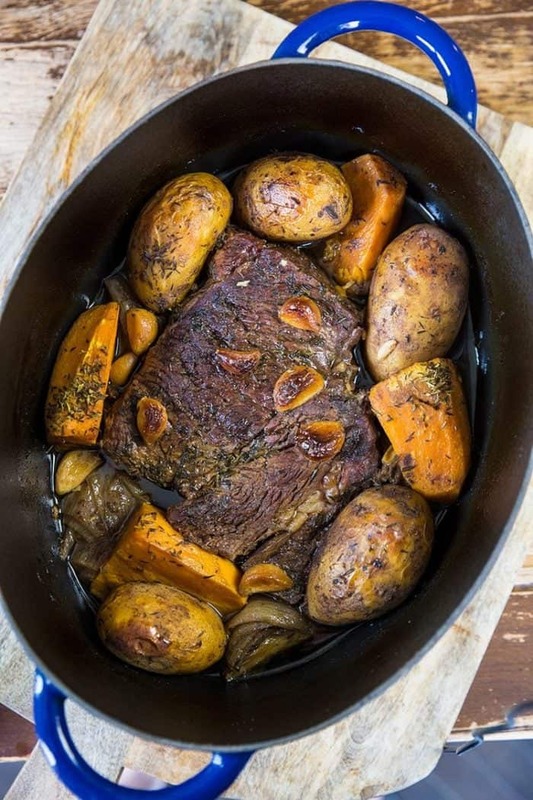 You do NOT want to use sirloins or round roasts for a long cooking pot roast. If you are looking to use another cut of roast please see my How to Cook a Sirloin Roast and Buttery Herb and Garlic Bottom Round Roast. Those are faster recipes as those cuts of beef will NOT fall apart, ever, no matter how long you cook them, so you want to cook those faster and to a certain temperature. A dutch oven is a heavy lidded pot that you can use on your stove top or in the oven. It is used for braising meats and cooking stews, soups and more. Can You Put a Dutch Oven in the Oven? 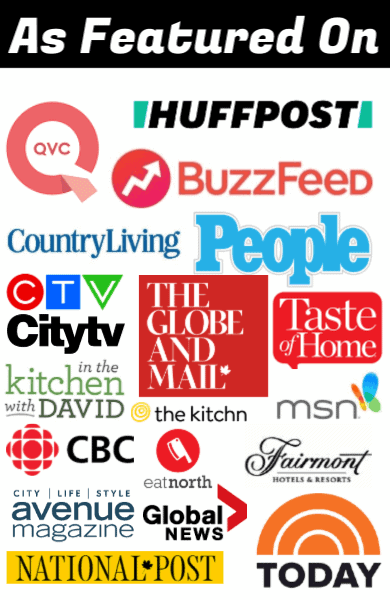 So what is YOUR favourite way to make pot roast? Crock pot? Dutch Oven? I’m using a Cros Rib Roast….which is technically a Chuck roast so should be good! Love my Dutch Oven….I scored one from a friend who moved and gifted me hers. In the summer I cook chickens in my Dutch oven in my BBQ so I do not heat up my house. Works great! I made this for the first time Sunday in a 7qt Lodge cast iron dutch oven. The meat was pull away tender as were all of the veggies. Unbelievable! Can’t wait to try this on the Egg when the temps rise above 12 degrees F! I’ve always made roasts in my crock pot and even though the flavors are terrific, the meat always comes out stringy. I have just ordered a cast iron Dutch oven and can’t wait to cook a roast in it! I will use carrots in place of sweet potatoes. The picture of your pot roast looks amazing. My question is did you cook your roast with the Dutch oven lid on or off ? This was the first recipe I tried in my cast iron Dutch oven and it turned out tender and moist. Your recipes never disappoint and this one will be used again! I am so glad that you liked the recipe! 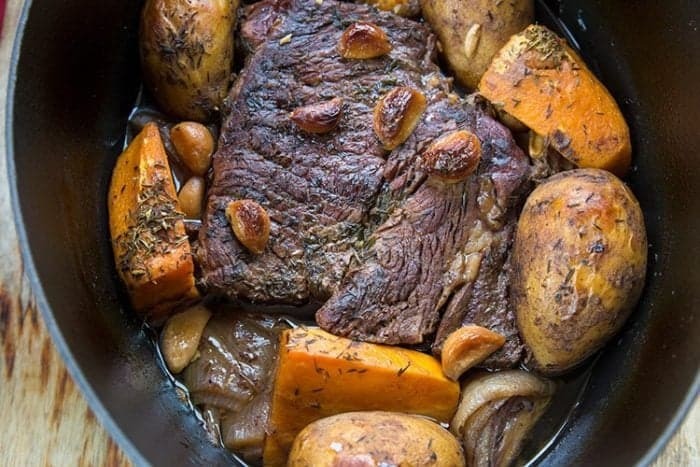 What size Dutch oven would you recommend for the Dutch oven pot roast recipe? Looks delicious.